Pick up from the airport or hotel in Kampala after breakfast, transfer to Sipi falls in Mbale (5-6hours) on the edges of Mount Elgon, enjoy hiking around, walk around the beautiful sippi falls, dinner and over at Sipi River Lodge, Lacam Lodge or Moses Campsite. Breakfast at Sipi River Lodge and transfer to Kidepo Valley national park via Soroti, Lira, Kitgum or Via Moroto – Kabong route, lunch enroute, dinner and overnight at Ngamoru Safari Lodge, Kidepo Savannah Lodge, Apoka Safari Lodge, UWA Bandas or Kidepo Safari Lodge. With a professional ranger guide, we embark on our 4×4 land cruiser with pop-up roof for fantastic game drives in the park, both in the morning and evening. Expect an encounter with herds of Buffaloes, Elephants, Giraffes, Antelopes, Lion, Leopard and many others. We can drive to South Sudan boarder for more game including Ostriches. All meals and overnight at your lodge on DAY 2. Morning game drive followed by transfer to Murchison Falls National Park, Uganda’s largest and oldest National park, and one of the most beautiful parks in Africa! Arrive in time for lunch and embark on evening game (time permitting), dinner overnight at Pakuba Safari Lodge in the middle of the park, dinner and overnight. (Other accommodations include Fort Murchison Lodge, Red Chilli Rest Camp, Paraa Safari Lodge. Breakfast at the lodge and embark on our 4×4 vehicle for game viewing in Murchison Falls National park. Animals to see include Elephants, Buffaloes, Giraffes, Warthogs, Antelopes and many others. After lunch, enjoy a fantastic boat cruise to the bottom of the falls, see huge Nile crocodiles, Hippos, elephants quenching their thirsty on the shores, and over 300 bird species, return to the camp in sunset for dinner and overnight at as on Day 4. Breakfast at the lodge, pack up our bags and embark on our vehicle to Kibale National park via Butiaba escarpments. Kibale is a home to 13 primate species which include Chimpanzees, vervet monkeys, Mangabeys, Olive baboons, Black and white colobus monkeys, etc, Lunch in Fort portal, dinner and overnight at Kibale Forest Camp, Chimpanzee Guest House, Rweteera Safari Park, Kibale safari lodge. Breakfast and proceed to the park headquarters for a briefing about your chimpanzee habituation experience with your packed lunch and water. The activity starts from around 6am to 7pm in the evening. Dinner and overnight at as on DAY 6. Breakfast and take a tour around Fort Portal Town, visit local markets, Amabeera ga Nyiramwiru historical / cultural site and Tooro King’s palace. Lunch and transfer to Queen Elizabeth National park, dinner and overnight at Enganzi Lodge, King Fisher Lodge, Twin Lake safari lodge, Park View Safari Lodge or Bush Lodge. Breakfast at the lodge and embark on our 4×4 pop-up vehicle for game viewing in Queen Elizabeth National park. Animals to see include Elephants, Buffaloes, Warthogs, Antelopes and many others. After lunch, enjoy a fantastic boat cruise along the Kazinga channel that connects Lakes Edward and George, see huge Nile crocodiles, Hippos, elephants quenching their thirsty on the shores, and over 600 bird species, return to the camp/lodge in sunset for dinner and overnight as on DAY 8. Located in southern part of Queen Elizabeth National park and is famous for tree climbing lions along side other animals like buffaloes, elephants, etc. We enjoy full day drive in Ishasha sector. All meals and over night at Enjojo Lodge, Ishasha Wilderness Camp, Ishasha River Camp or Savannah Resort Hotel. A relaxed morning, breakfast at the lodge and transfer to Bwindi Impenetrable National park, a home to the endangered mountain gorillas in Africa, arrive at Gorilla Mist camp by afternoon, evening entertainment from the Batwa people (pygmies), dinner and overnight at Gorilla Mist Camp, Rushaga Gorilla Camp, Buhoma Community Rest Camp or Ruhija Community Camp. Today is your day for the life changing event – Mountain Gorilla Trekking. Start early with heavy breakfast and assemble at the park headquarters for a briefing about the activity. The trek is quiet strenuous and takes 1 – 6 hours depending on the movement of the gorillas in the forest. Relax in the evening as you wait for dinner and overnight as on day 11. Breakfast followed by transfer to the beautiful lake of wonders, check in Arcadia cottages, lunch and take afternoon canoe ride to visit different beautiful islands of Lake Bunyonyi, dinner and overnight. 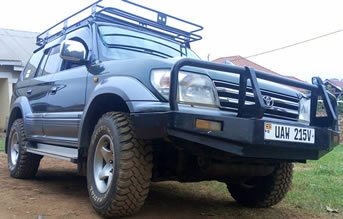 Breakfast and take picnic drive to Lake Mburo National Park, lunch in Mbarara town at Igongo Cultural center, arrive in time for canoe ride on lake Mburo, and evening game drive. Overnight at Eagles Nest Lodge, Arcadia cottages, Lake Mburo safari lodge or Mihingo Lodge. 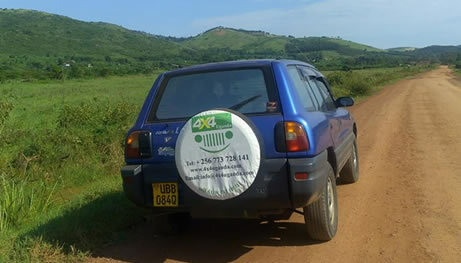 Morning game drive and hit the road back to Kampala / Entebbe Airport where the tour ends.